Now just need to find out the wheel base & diameter and work out what it can be converted into. And some other locomotives, e.g. some of the Vectron family. Also the BR187/147 out of the 3rd TRAXX row. 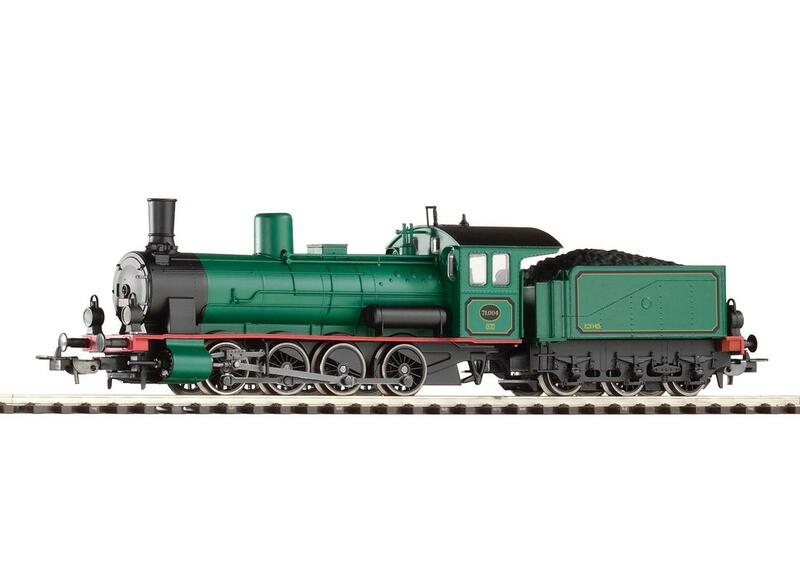 Oooh, that is a dandy of a locomotive to use as a basis for a North American proto loco! Here is one of the drawings of the BR55. Thanks for the link to the drawing, it will be of help to conver a model of one to North American proto. BR 55 was a very "flexible" class. When the German railways were nationalized many different locos with 0-8-0 wheel arrangement were classified under BR 55. The PIKO model is a closest one to the Prussian engines ( at least from the picuture) - and PIKO owned all documentation for this locomotive already in the GDR era. We will see, but I think they will bring out the same class in TT ( they had it before in H0 and also in N). There are no significiant differences in wheelbase and in wheel diameters when downscaled in TT. krokodil wrote: BR 55 was a very "flexible" class. When the German railways were nationalized many different locos with 0-8-0 wheel arrangement were classified under BR 55. The PIKO model is a closest one to the Prussian engines ( at least from the picuture) - and PIKO owned all documentation for this locomotive already in the GDR era. We will see, but I think they will bring out the same class in TT ( they had it before in H0 and also in N). Furthermore, additional BR 55's were added during or after WWII, originally from Poland, Czechoslovakia, Austria, and Yugoslavia. They were quite different from German BR 55s, but the wheel arrangement was the same. If Piko's model has drive in the tender, it would open many more possibilities for conversions. The drawing which JP has posted is closer to the model. And it is announced as G7.1 in TT. This loco has a wheel arrangement with asymmetric wheelbases.